The perfect package for beginner alpinists seeking technical tools for general mountaineering, glacier walking, ski touring, and easier mixed climbs. And we're offering this bundle at a special discounted price! Both the Summit and the Irvis Leverlock are ideal for all-round mountain use. The Summit is lightweight, with a toothed pick designed for clinging onto hard, steep ice and the thick middle section and spike that plunges easily into snow. 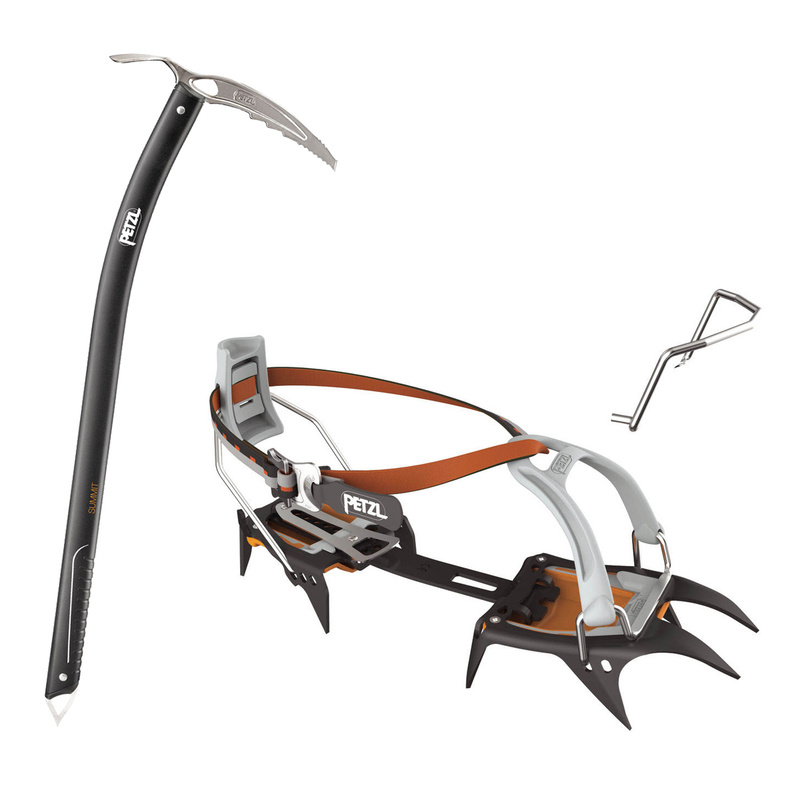 The Irvis Leverlock Universal are compatible with all boot types, come with the ANTISNOW system to prevent snow build-up underneath, and their modular design allows you to change the front section with any other modular Petzl crampons to suit more technical routes or ice climbs.